A purpose built pedestrian deep slitter which is suitable fo ruse on fine or outfield turf helping to reduce compaction and assist the percolation of surface water. 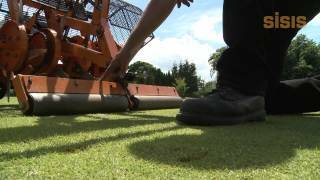 The deep clean slitting action cuts through the turf and the root zone leaving a thin slit on the surface and minimal surface disturbance. These slits encourage strong, healthy root growth of the grass plants, improving tolerance to drought conditions and promoting more rapid recovery after damage in play. 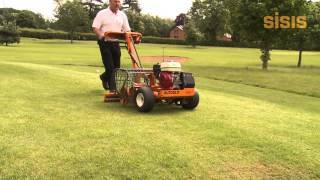 Easy to use the autoslit incorporates a rear smoothing roller and uses a cantilever system to lift the machine out of operation.